Gaspeite is a nickel magnesium iron carbonate that belongs to the calcite group of minerals. Gaspeite is considered a rare mineral as it is found as a secondary mineral around nickel sulphide deposits. 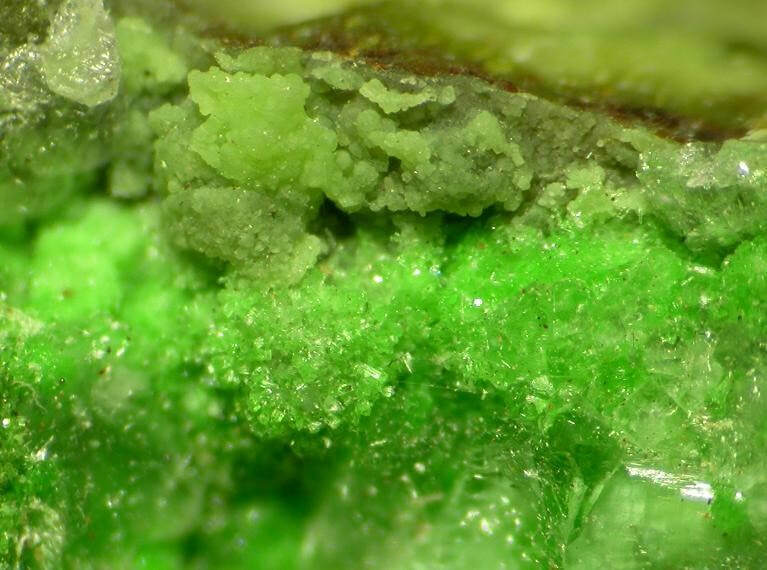 Originally gaspeite was thought of as just a gangue mineral by miners when it was encountered and usually placed in the mines dumps or tailings. A gangue mineral is a mineral that contains the ore metal, but its chemistry is such that processing it is either impossible or unprofitable. ​It is a light to apple to bright green and may contain its brown host rock. ​​Although this stone was named after the Gaspé Peninsula in Quebec, Canada where it was first identified in 1966. Currently the main supply of this stone is coming from mines in Western Australia. Take gaspetite with you if you have to move house suddenly or leave family and friends behind for work commitments to ease transition and to keep loving links. Gaspeite is a stone that offers you the best of both worlds, wear gaspeite jewellery to attract success at work, loving relationships, lasting friendships while at the same time valuing quiet moments and fostering a connection to nature. ​People who have used the stone have found that it has strong healing attributes. This stone is an excellent stone to help you to better utilise the energy of coincidence. 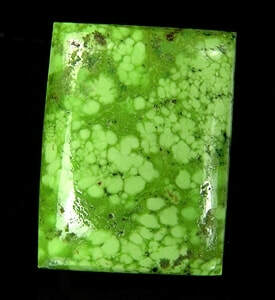 Gaspeite aids healing, It has an excellent healing vibration and will transfer the healing power to the person using it. Meditate with gaspeite while sitting on the ground, setting out any difficulties and trusting that the answer will come in the most appropriate way. Hold it whenever you need safe passage as it facilitates moving through dark and dangerous places without being noticed. 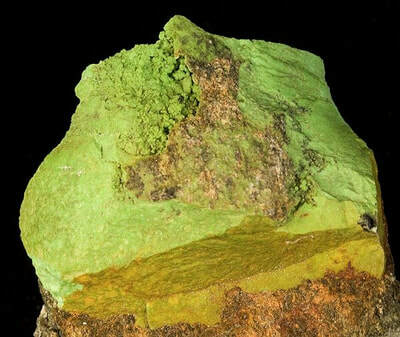 Gaspeite may help ease the symptoms of heart disease and heart attack. This stone will activate the gallbladder, encouraging the body to create bile so that it breaks down fat from your intestines. 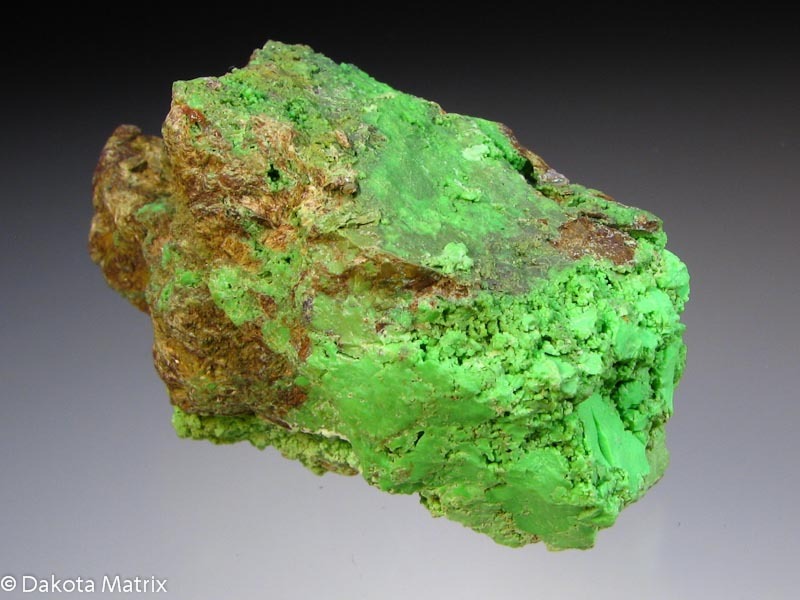 Gaspeite assists oxygenation of the blood to reduce fatigue and sleep apnea. If you want to lose weight and increase your metabolism, wearing Gaspeite is said to help the process along. It is helpful on its own in this area, but to take this to a higher level, you may benefit by combining it with other weight loss stones including Yellow Apatite, Rainforest Jasper, Green Tourmaline and Heulandite. 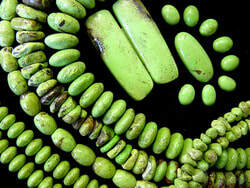 ​Gaspeite assists the healing of lung problems such as asthma, bronchitis and allergies relating to plants and pollen. For anyone who has not been eating right, gaspeite may help you to recognise the foods that your body really needs, not what it wants; to assist you in returning to optimum health. 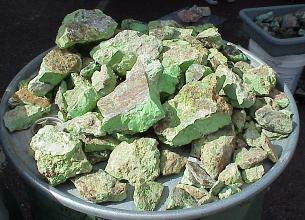 Gaspeite helps to release your attachment to ‘things’ and can help counter hoarding behaviours. It assists you in feeling safe and secure, while encouraging you to let go of the past and of experiences and possessions that no longer serve. It can assist you in receiving more love and in feeling more joyful and abundant on all levels. Gaspeite is an excellent stone for awakening and healing the inner child, which often expresses itself by you feeling exhausted and stressed by life without really knowing why. Wearing Gaspeite or meditating with it can do much to bring unconscious wounds and attachments to the surface for healing and release. Gaspeite when worn brings you feelings of serenity and acceptance when you are suddenly thrown in the middle of turmoil. It is an effective stone to benefit you if you are in some situation where you believe you may be at risk or even when you have calls upon your time and energy from needy individuals. It supports your comprehension of a situation, and helps you to take steps and ask others for assistance, rather than feeling you must do it alone. Gaspeite enhances your ability to clear emotional clutter from your life. Gaspeite helps you to extend your consciousness so that you are more aware of how you need to live your life in the everyday world. It is a powerful stone for helping hoarders release attachment to their ‘collections’ and to help recover usable energy that has been trapped in excessive material possessions. Gaspeite sharpens your awareness of the world around you and allows you to "see" things and situations that have previously been overlooked. This stone helps you to better align yourself with living your life how you wish to, rather than allowing yourself to slip back into old habits that may not be helpful to you. Those who have used the stone have found that it has excellent healing attributes, especially for self healing. It helps you to let go of things that no longer serve you, and as you embrace its highly spiritual vibration you may find that your spiritual communication improves and it may also assist you to make contact with other worlds. 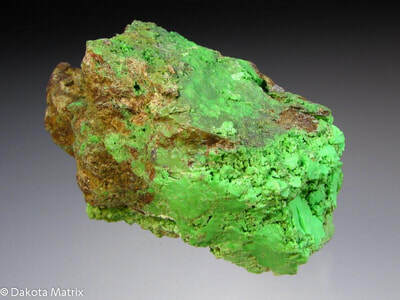 ​​The energy that Gaspeite brings to your life is a grounded spiritual energy, that encourages you to live life in the real world, yet from a spiritual perspective. Gaspeite helps to anchor the spirit into the body, and to bring energy into a physical form. For this reason, it is an excellent aid in manifestation work.